Indiana Barrier offers an exciting opportunity to become a distributor. Companies can distribute all of our precast concrete products which include concrete parking bumpers, sign bases, and plastic/recycled rubber parking bumpers. Ready to Discover the benefits of being a distributor and how to become an Indiana Barrier distributor. 1. 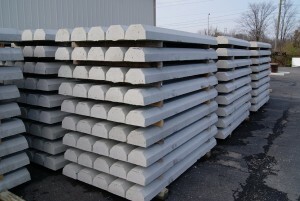 Special pricing: We work with all our distributors to offer special pricing on any precast concrete products they may need. 2. Easy transportation: Our products can be picked up or delivered in bulk to the distributor’s facility. We give distributors the option to choose which method is best for them. 3. Products on hand: By becoming an Indiana Barrier distributor, you will have the convenience of having products on hand for resale or immediate installation. We offer our “New Distributor Packet” on our website (click here to access). It contains a three page packet to be filled out and returned back to us. The packet includes a three step process as defined in the checklist below. We would be more than happy to answer any questions or inquires you may have about becoming a distributor.